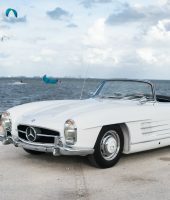 Mercedes-Benz produced the fabulous 300SL series from 1954 to 1963, first as the “Gullwing” coupe from 1954 to 1957 and later as a conventional open top roadster from 1957 to 1963. Based on the earlier hugely successful racing version W194 which was piloted by the immortal drivers of the day such as Juan Manuel Fangio, Sir Stirling Moss and Herman Lang, Mercedes-Benz scored important wins in the world’s most important sports car races in 1952 such as the 24 Hours of Le Mans, Nurburgring 1000KMs (where the cars swept the top four positions) and the Mexican Carrera Panamaericana. The W194 was notably replaced with the 300 SLR (Roadster) which scored victories at the 1955 Targa Florio and Millie Miglia events in Italy. However, the 1955 Le Mans tragedy where one of the magnesium bodied SLRs contacted another car, hurtled the wall, splitting in half right into the pit straight grandstands which killed 80 spectators. To this day, the Le Mans incident remains one of the worst shunts in racing history and caused Mercedes-Benz to pull out of racing as a full factory entrant until returning in 1988. With the racing success of the W194 fresh in the public’s mind, the road-going Mercedes-Benz 300 SL made its debut at the 1954 International Motor Sports Show in New York rather than in Europe per the suggestion of Max Hoffman. Hoffman was an Austrian-born New York-based importer of high-end luxury German cars into the U.S. during the 1950s. 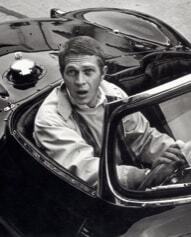 Hoffman was also instrumental in the implementation and import other iconic sports cars such as the BMW 507 Roadster and Porsche 356 into the country. Hoffman’s contributions to automotive development and motorsport earned him entry into the Automobile Hall of Fame in 2003. As an aside, both Hoffman’s home in Rye, New York and his Manhattan Jaguar showroom were both designed by iconic American architect Frank Lloyd Wright. 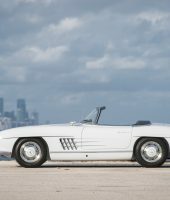 Voted “sports car of the century” in 1999, the 300SL remains a stalwart among collectible automotive enthusiasts, with “Gullwing” and roadster versions appearing regularly in important Concours d’Elegance and high-end collectible car auctions. 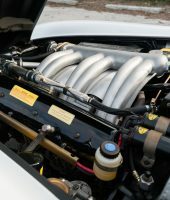 The 300 refers to the car’s engine displacement of 300 centiliter (or more specifically 2,996cc) and the SL is for “Super Light”, a reference to its light tubular frame construction. The dramatically styled 300SL Roadster body consists mainly of sheet metal however the bonnet, dashboard and door sill are aluminum. Most 300 SLs were done in silver but other colors were available by request. The objective of the body styling was to keep the car as streamlined as possible as manufactures of the time were beginning to recognize the importance of aerodynamics, light weight materials as well as power to improve not only their racing cars but also their road-going cars. The 300 SL Roadster has every bit the true presence of its couple older brother and, in the opinion of many, is a better car than the Gullwing with its much more reliable disc brakes rather than drums of the coupe and increased cockpit air circulation rather than the stifling heat of the enclosed car, the roadster is in many ways superior to the coupe. 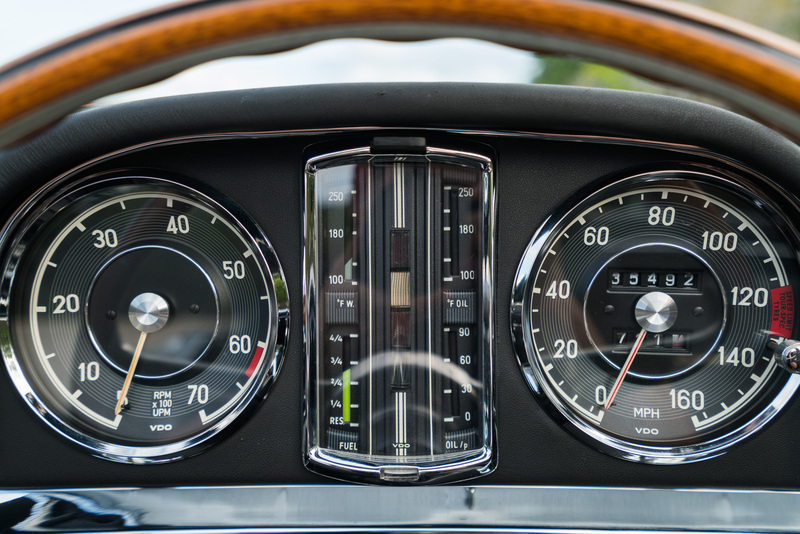 A skilled, experienced hand is still required to control a 300 SL Roadsters however. The cars are still rather power, loud and brutal to handle. 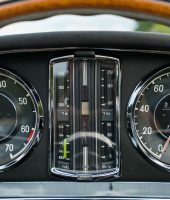 While controls such as the manual shift lever seems spindly in comparison to the rest of the car, the big car responds well to quick shifting and accelerates at a rapid rate easily topping 150MPH. This handsome 300 SL roadster is an award-winning, numbers-matching classic that has recently benefited from a significant amount of high-quality work performed by some of the finest shops in the country. Mercedes-Benz factory records indicate this 300 SL was assembled in late 1958 as a 1959 model, delivered new in silver with red leather to Al Haddad Motors in Iselah, in the Kingdom of Bahrain. 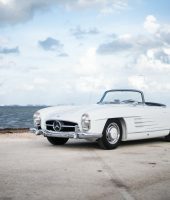 The 300 SL was imported to the U.S. in the early 1960s where it was purchased by someone from Santa Barbara, California. It is believed to have remained in California before being exported to Japan in the 1990s. 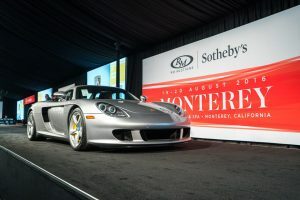 Mr. Motomori Tanaka of Toyko owned the car by 2000, where it was kept in his private collection for a decade, after which it returned to Southern California. 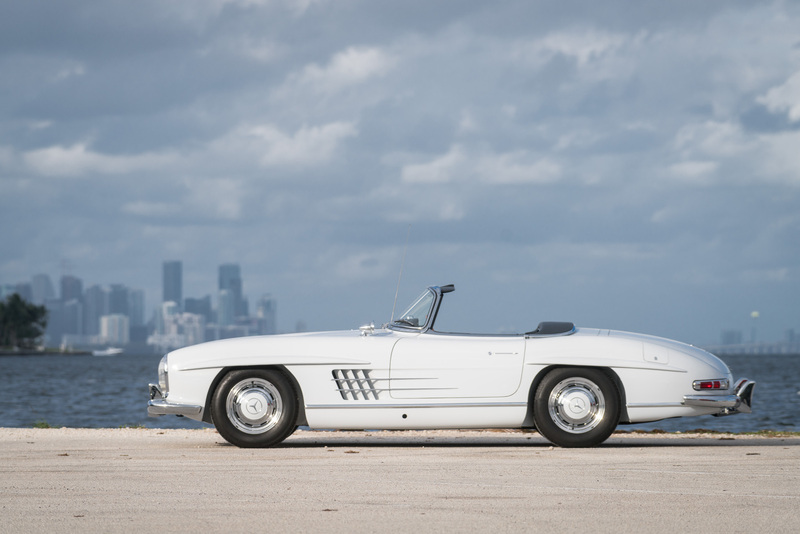 A San Diego-based collector acquired the well-maintained 300 SL shortly after its return. 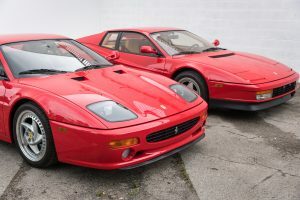 He would commission the widely respected restoration experts at Brian Anderson’s Classic European in Vista, California, to conduct a complete body-off restoration to concours condition in 2010. 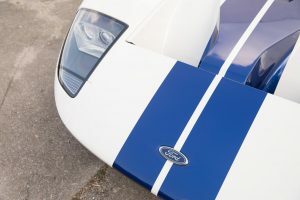 The comprehensive restoration was fully documented, with the completed car emerging from restoration in April 2012, with the elegant color scheme of White (DB 147G) over a black leather interior. 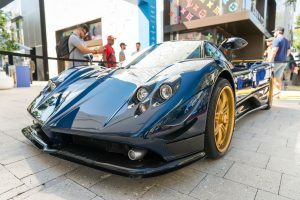 The restoration efforts were rewarded with the car winning its class at the 2012 La Jolla Motor Car Classic and runner-up at the prestigious and highly competitive Show Roadster Division at the Gull Wing Group National Convention in Palm Springs. It was also displayed at The Quail, A Motorsports Gathering in Carmel Valley that same year. The car was later sold in 2014. 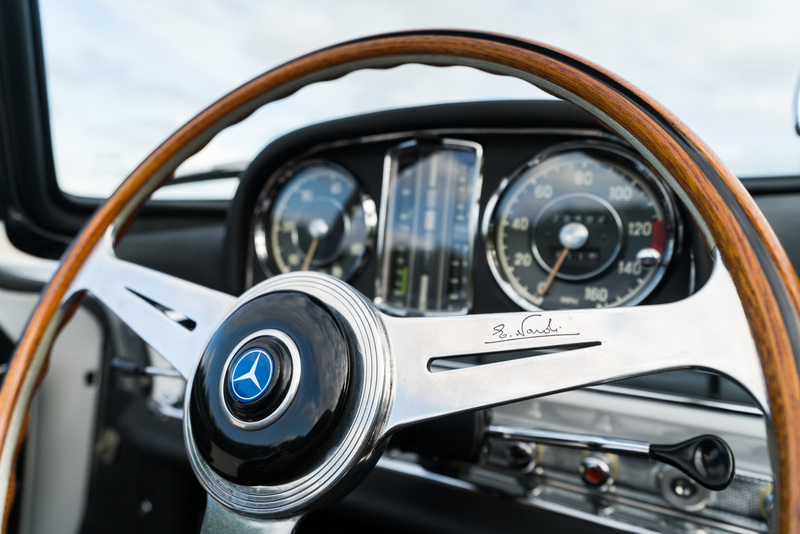 Although the current owner acquired the car in otherwise excellent condition, it was decided that the 300 SL deserved additional attention paid to the mechanical aspects so that it would be highly reliable for touring and not just showing. To that end, in 2014 the 300 SL was delivered to Automotive Restorations in Stratford, Connecticut, for meticulous mechanical restoration. 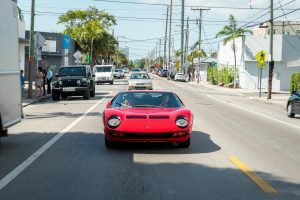 The company is widely known and respected as one of the very best restoration shops on the U.S. east coast for more than 40 years. 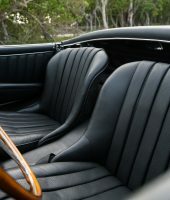 The restoration of the drivetrain was extremely comprehensive, including a complete rebuild of the original inline six-cylinder engine, extensive refurbishing and recalibration of the Bosch mechanical fuel-injection system, refurbishing of the four-speed manual transmission, rebuilding the brake system, front and rear suspension rebuild, a tear-down and rebuild of the rear differential, and much more. No expense was spared, and for which there are numerous binders of paperwork and receipts that detail the fastidious work performed, totaling over $200,000. 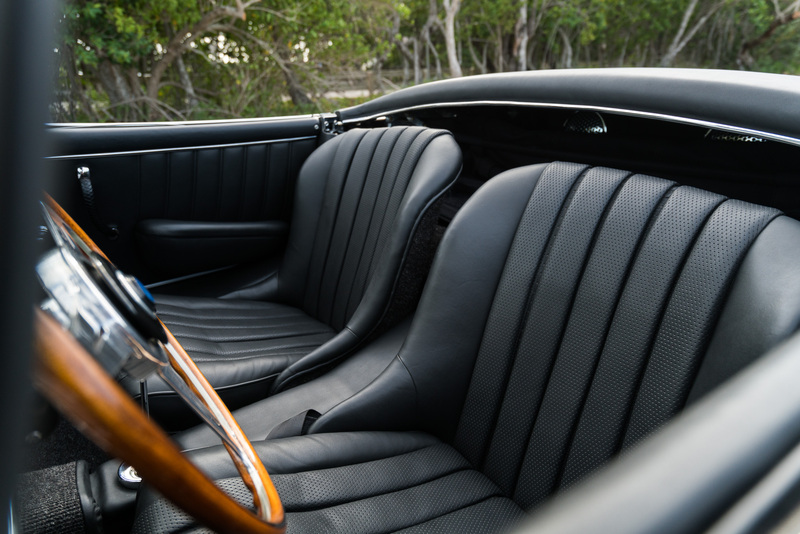 After the work was completed in 2016, the roadster was thoroughly tested, driven, and properly sorted, resulting in a car that is extremely reliable, performs flawlessly, and is a thrill to drive. 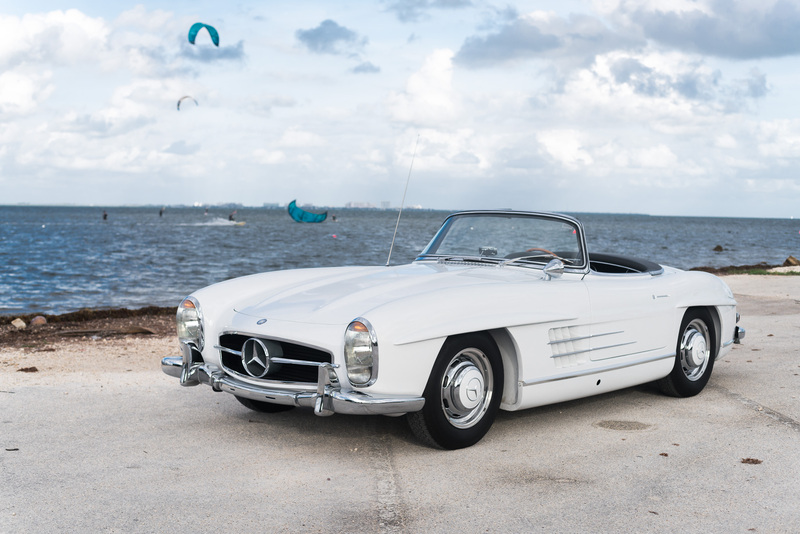 In addition to being mechanically superior and stunningly attractive, this 300 SL roadster boasts a bevy of extras and desirable optional equipment. Special features include European headlights, factory hardtop, elegant wood-rimmed Nardi steering wheel, Becker Mexico radio, and a splendid set of custom-trimmed fitted luggage. Other items accompanying the car include a tool kit, jack, first aid kit, engine bay work light, owner’s manual, Becker radio instruction manual, spare parts list and factory sales brochure, as well as the aforementioned restoration receipts and documents detailing all the expert work performed on this exceptional Mercedes-Benz. 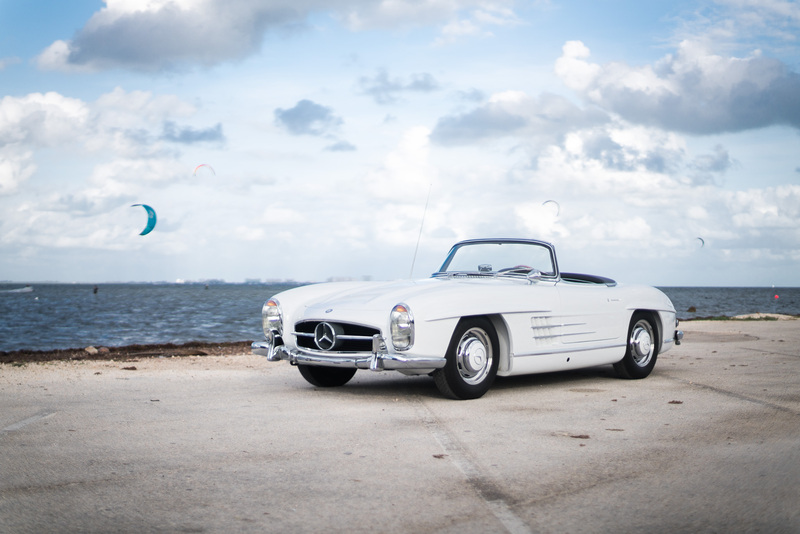 This 300 SL is perhaps the most roadworthy, highly detailed, show-ready roadster available. 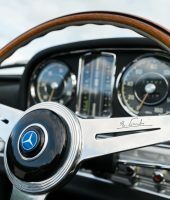 The close attention to detail, the thoroughness of the restoration, and the desire to ensure that this classic Mercedes-Benz drives as well as it looks will instill confidence in the next caretaker of this exceptional 300 SL who wishes to not only exhibit this car, but to drive it as was always intended. In the market place, 300 SL Roadsters still have their ups and downs with market fluctuations but have proven to remain consistent high performers with pristine examples such as this being every bit the equal of its Gullwing counterparts as million-plus dollar cars and still represent as solid investment cars.